As one of the finest travel agents, we at PPT express provide our expert bus booking services giving excellent opportunities to travel all over Sri Lanka while saving both your time and money. We use new busses that carries comfort along with many other facilities make your travel experience with us as memorable as possible. PPT travels daily bus between Colombo and Jaffna is a turning point to all travelers as we offer a pleasurable and luxurious 9- hour ride. PPT Bus bookings are famous and sought after due to its promise and deliverance of services. Think of us for your next travel by air as we are experts in handling both domestic and international flight bookings. PPT ticket bookings will give you the best offers for the most reasonable rates. Through our years of experience and the business relationships we have built, we can arrange cheaper airfare for our customers saving a lot of money. If you are looking to move or in need of an efficient transport service that is cost effective and reliable then you are in luck because PPT express also specialize in providing transport and moving services to any of your requests. It doesn’t matter whether it’s residential or commercial, local or long distance because if you hire us we will be literally going to any distance to meet your requirements in the most reasonable and cost effective manner. Travelling by bus in Sri Lanka has never been this joyful. With our range of luxury A/C buses with comfortable and spacious seating arrangements along with many other modern facilities like WiFi and TV to keep you entertained during your journey. We use modern luxury buses with enough leg space for you and enough space for your belongings, even a bike! You can trust us for the perfect travelling experience because when booking with PPT you are guaranteed with a comfortable, affordable journey that will leave you with nothing but a pleasant experience. Travel with PPT, where comfort meets reliability to give you an efficient and a friendly service. 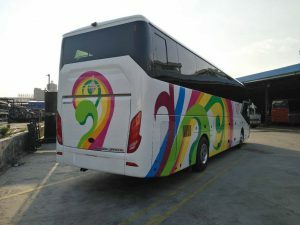 PPT Travels and tours, a renowned name in the travel industry of Sri Lanka is a specialized bus service that provides many travel opportunities to both local and foreign travelers. Known as the PPT express by its many customers in Sri Lanka, we at PPT travels has been leading the way for many years and setting standards along the way for Bus services all around the country. 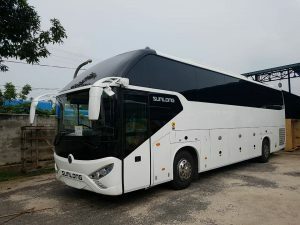 PPT bus service is truly exquisite in terms of comfort and convenience where we provide exciting travel packages, transport facilities and offer bus services from Colombo to many different regions in Sri Lanka at affordable price. 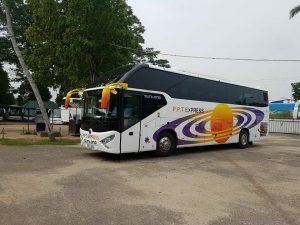 Daily PPT express bus service from Colombo to Jaffna has taken special notice by our customers for its ease that is met with luxury and affordability. 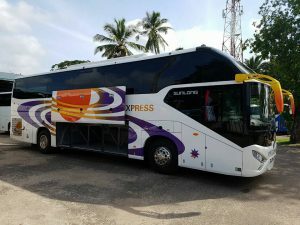 PPT Express is not merely a facility that provides express buses for travel for Sri Lankans, but also offers thrilling tour packages, books air tickets through many airlines at the most cost effective rates and a sophisticated international courier service that delivers all around the world. © 2018 PPT Travels & Tours | Sri Lanka. All Rights Reserved.